Find the best hotel deals in one of the world’s most beautiful island resorts. With Hotels Fairy price comparison, you really can afford to spend time in paradise. One of the most popular tourist destinations in the Philippines, Boracay Island has been voted as one of the most beautiful places of the world back in 1990. Upon looking at its white beaches and the serene surroundings, one cannot argue why so many people would love to flock and spend quality time in notable Boracay hotels. The island, originally home to the Ati tribe of the Philippines, is now one of the most commercially developed island in the archipelago. 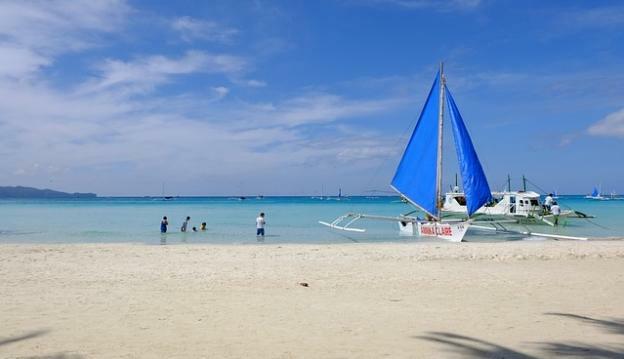 And with the booming tourism industry of the country, visitors to Boracay have increased year after year, filling hotels in Boracay with American and European vacationers, backpackers, and expats. Built on a private resort in the island, the Panoly Resorts Hotel is one of the most frequented hotels in Boracay. Standing on a beach front, guests can simply take to the sea and enjoy the water and bask in the sand and under the sun. There are also many activities that guests can do to further their fun in the beach. The rooms at the Panoly Hotel Resorts Hotel are fitted with a huge balcony that overlooks the hotel’s famed tropical gardens. At night, the balconies offer couples and lovers a romantic setting while spending some quality time together. The Panoly Resorts Hotel also has its own restaurant that ushers diners to sumptuous Asian seafood cuisine. This who are looking to relax with a drink or two will be happy to know that the establishment also have their own bars. Other features include a swimming pool, tennis and basketball courts. One of the finest Boracay hotels is the Monaco Suites de Boracay. Fronting the beautiful Bulabog Beach, the hotel offers guests more than a relaxing stay. All suites have a balcony that treats guests to a scenic view over the beach. Each room is also equipped with very functional air conditioning system. Aside from that, guests can also get to enjoy free WiFi access in the lobby, an outdoor pool, and a fitness center. Monaco Suites de Boracay also has a list of ourdoor beach activities for those who are into extreme sports and want to feel the adrenaline rush like parasailing and jet skiing. Scuba diving and snorkeling are also offered to guests who want to experience and enjoy the underwater beauty of the Boracay sea. Situated at the island’s Station 3, Crown Regency Beach Resort stands as one of the most premiere Boracay hotels. Widely regarded as one of the best hotels in the island by many hotel price comparison site and travel guide channels, Crown Regency Hotel offers top class accommodations and services. The hotel also provides health and wellness services like spa treatments, massage therapy, and a fitness center. For those looking for some chilling time, Crown Regency Beach Resort has Topz Chillout Bar where guests can really relax and be entertained while downing a bottle or two. A wonderful book about the Philippines’ best kept secret islands.